We at Blue Steel Factory are committed to manufacture and supply reinforcing steel products that fully meet customers’ specified requirements, and to deliver these products on time. It is our policy to establish good relationships with its customers to provide goods and services, which offer value for money, to continually review and improve Company quality systems, and thus achieve a reputation for excellence in the marketplace. We ensure that our suppliers provide high quality steel products and materials that conform with the national and international standards. Blue Steel Factory is committed to high levels of product quality. 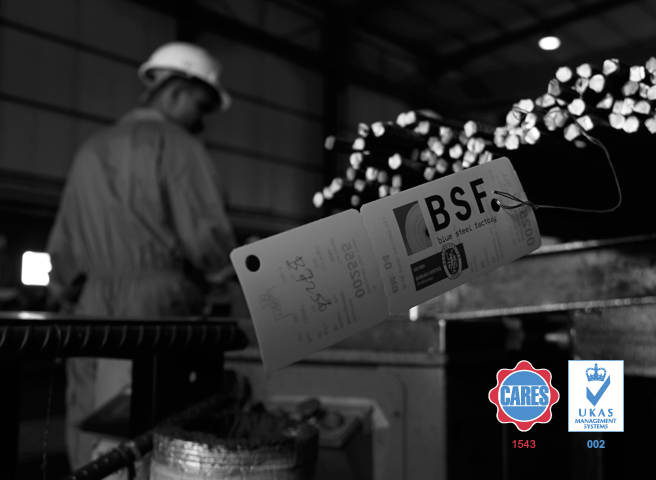 In order to achieve an efficient operation and to maintain customer confidence, Blue Steel Factory understands the importance of conformance to a recognized Quality Management System and is thus committed to retaining ISO 9001 registration for its manufacturing operations. We ensure to continually review, improve and implement quality control and best practice procedures and to meet all legal requirements of ISO 9001:2015 standard. Our Quality policy is regularly communicated to all our employees and reviewed by the Top Management for its continuing suitability.